Where's the tag? Most customers scan items for the size, but you can simplify their shopping experience with a small label. • Keep your stock in order during sales, discounts, and holidays. 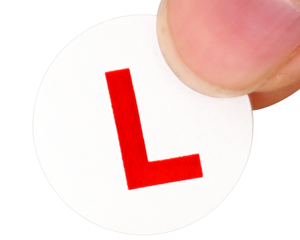 • Designed using semi-gloss paper that accepts writing from a permanent marker. 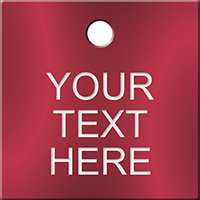 • Flexographic print increases durability and longevity. • In circles or rectangles, with distinct and bold characters. 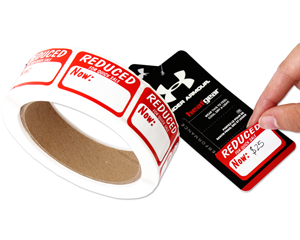 • Label prices start as low as $2.99 a roll! 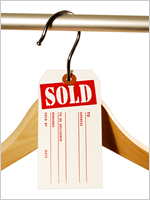 Don't let your customer walk away from an attractive discount on your merchandise. 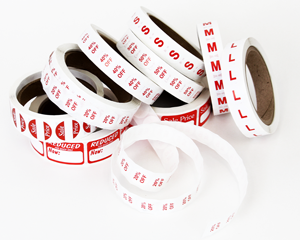 Order Sales Price Labels to include size codes and sale price. 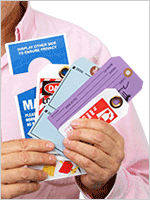 High quality labels, low prices! Just $3.40/roll of 500 labels. great size and shipped promptly! Perfect for what I needed them for! Thank you! Loved it, was exactly as expected.